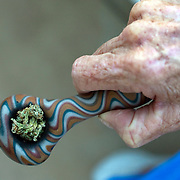 TO LICENSE AN IMAGE, SIMPLY ADD THE IMAGE TO YOUR SHOPPING CART. 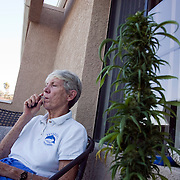 FOR MORE PHOTOS, PLEASE SEARCH MY ARCHIVE FOR "MARGO BOUER"
Margo Bouer uses marijuana to reduce the nausea that comes with having Multiple Sclerosis. 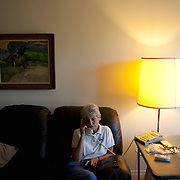 A former nurse, Bouer lives in a assisted living facility adjacent to Laguna Woods Village, the former Leisure World. 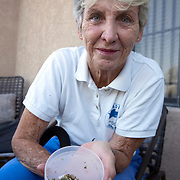 There are no dispensaries for her to purchase her pot so she and others, including Dr. William Schwied, MD, are advocating their own cooperative for seniors who require their weed. 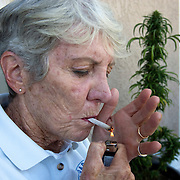 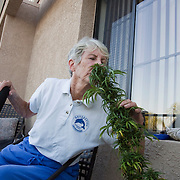 She also grows and harvests her own cannibas on the patio of her home. 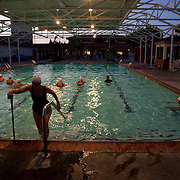 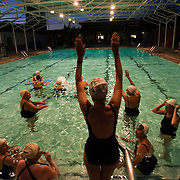 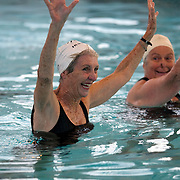 Margo is also very active in the Aquadettes, a synchronized swimming team at Laguna Woods Village. 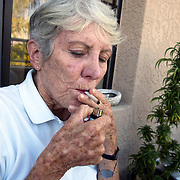 FOR MORE IMAGES OF MARGO BOUER, PLEASE SEARCH MY ARCHIVE FOR "MARGO".